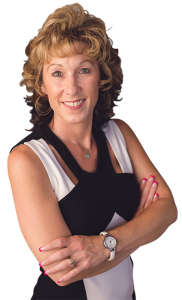 Hello, my name is Valerie Fields, as a full time real estate agent I enjoy helping buyers and sellers set goals and guide them through an informed, educated experience while buying or selling their home. I have a passionate approach, hard work ethic and a personal service that goes beyond the sale. I keep my clients updated on the latest information through state approved classes and work with a team of agents to stay on top and in the know. I don’t claim to know all the answers, but I will do my best to find out! I am up early and work late but also believe in balance in work and personal life. I have 2 beautiful grown children, 6 between me and my husband, and several grandbabies that keep us busy! We love playing cards with family and friends, eating out (way too much, chips and dip are my downfall) since it’s just us two at home. We enjoy watching football, traveling on occasion, but getting harder since the grandbabies are here and watching westerns, we love John Wayne!! As a member of the National Association of Realtors I pledge to protect the rights of real estate owners and buyers, to be honest and represent my clients to the fullest. I promise to act fairly towards all, serve our community and observe the Realtor® Code of Ethics. I look forward to meeting you. I am ready to work for you and right beside you!